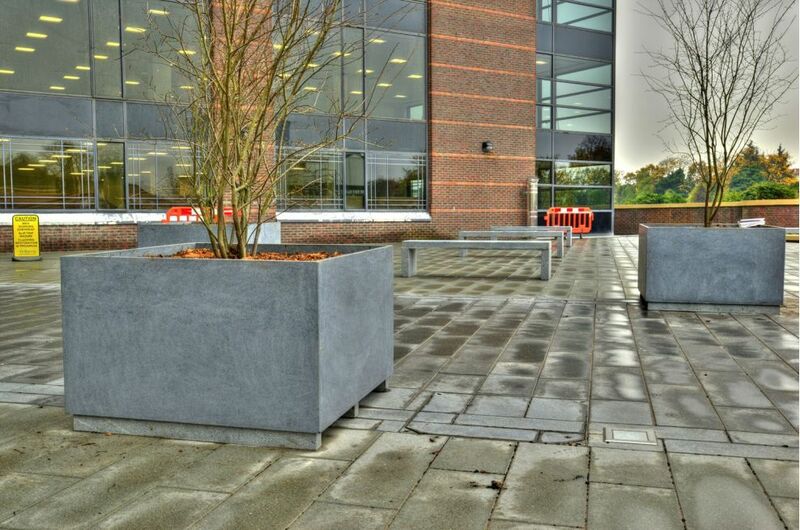 Bespoke granite benches and tree planters were commissioned by McLaren Construction, for a project to refurbish the Interchange office building in Croydon. 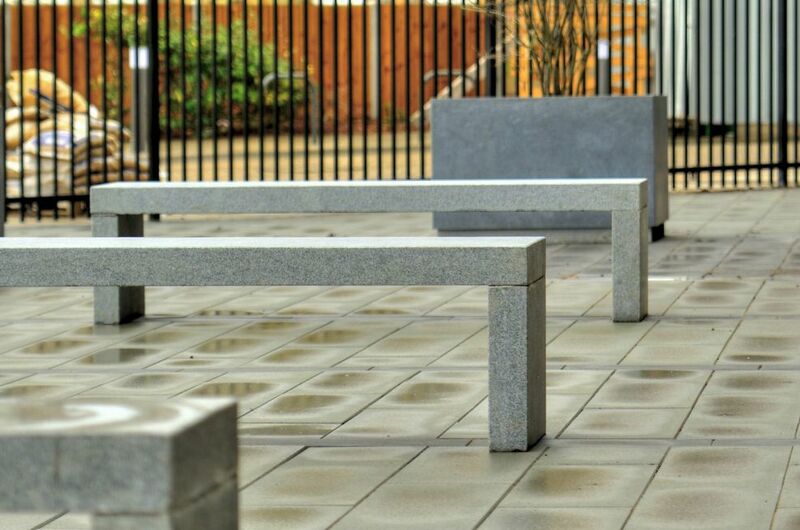 The contractor’s requirement was for a cost-effective, practical seating solution for a public area, in a simple and contemporary style, which could be easily assembled on-site. 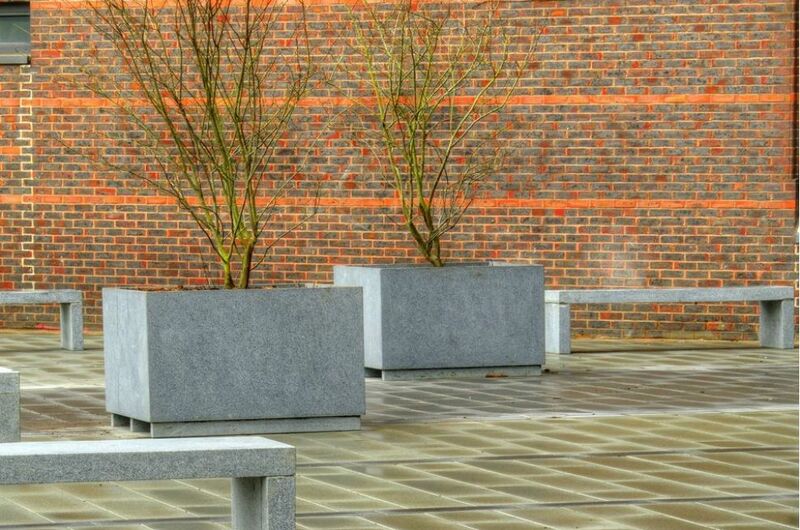 The seating also needed to be supplied with matching tree planters, as part of the same scheme. 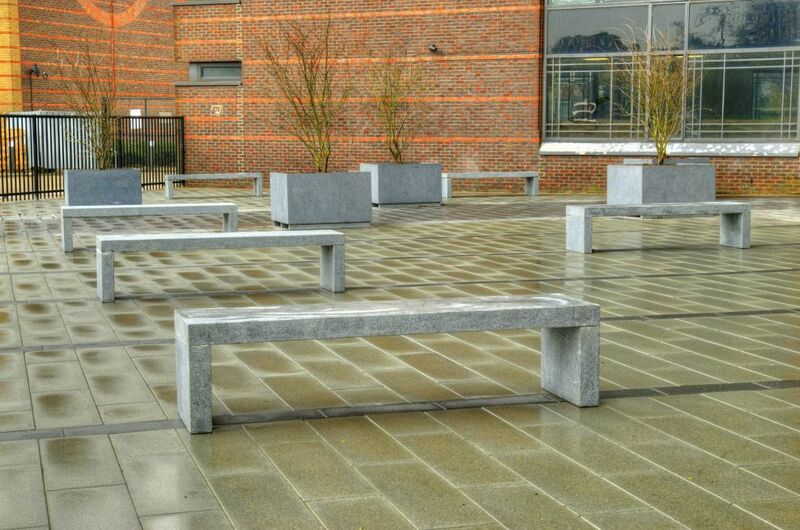 The benches were fabricated in lengths of 2000mm, in grey granite stone with a honed finish. All edges were rounded-off and chamfered. The benches were supplied disassembled, and were fabricated with mortise and tenon joints between the legs and seats which were resin-bonded on-site. 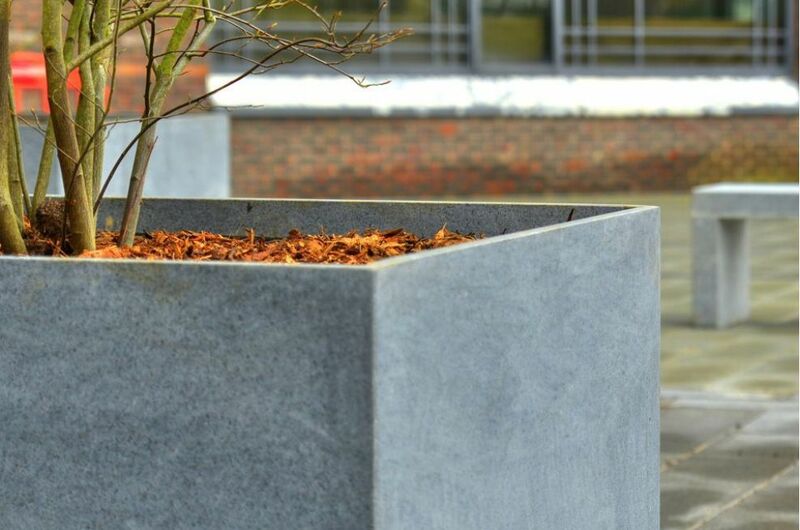 Matching tree planters were also supplied of dimension L 1200 x W 1200 x H 700mm. The tree planters included granite feet, and steel eye bolts in the base for lifting and tree anchor attachment. 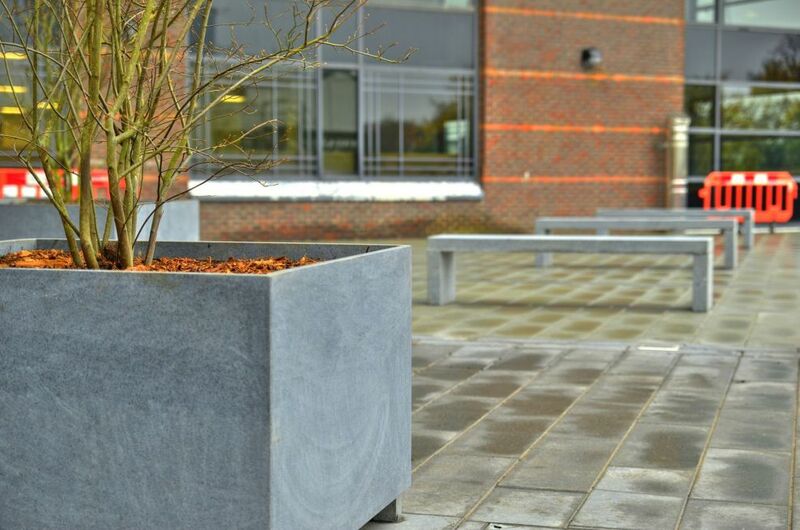 IOTA’s granite street furniture is ideal for public spaces, delivering a clean modern aesthetic with exceptional value and durability. The stone used is highly resistant to physical attack, graffiti is easily removed, and its close granular structure means that minor damage is not readily apparent.